At Saylor House, it is our mission to exceed our customer's expectations by offering high quality furniture and décor in a relaxed, no pressure atmosphere. At the same time we strive to offer the best possible customer service. Offering full service interior design services, our interior designers will consult with you from beginning to end. From custom upholstery, re-upholstery, lighting, kitchen and bath design, paint and wallpaper selections to the accessories, lamps, and rugs we walk with you through each phase of the project. We hope to see you at Saylor House! 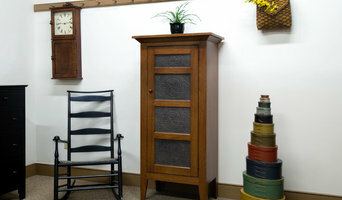 Studio 882 sells luxury, heirloom quality furniture and accessories. At Studio 882 you’ll find a medley of handsome shapes, timeless forms, and unexpected designer twists, reflecting a broad variety of periods and styles. Our focus is on versatility and longevity - on pieces that can travel from one decade to the next, from one room to the next, and from one use to the next. Our Brands include Baker, Chaddock, Kindel, CR Laine, Julian Chichester, Fauld England, Palu, and Symbol Audio. In addition to these fine brands, you’ll also find a variety of items in store that have been made by artisans throughout North America. Our range of products furniture and accessories for the living room, family room dining room, kitchen, bedroom, home office and outdoor furniture. For over fifty years McGill’s Fine Furniture & Interiors has been providing the greater Philadelphia area with high quality furnishings at competitive prices. Our personalized service and attention to detail creates a unique shopping experience that includes all of your interior design needs. From traditional to contemporary, our knowledgeable staff will help you meet your style needs without sacrificing quality and comfort. Our interior designers will guide you through every detail of creating your space. McGill’s carries many of the finest names in home furnishings; Century, Henredon, Hickory Chair, CR Laine and Bernhardt to name a few. Our 10,000-foot showroom is located on the north west perimeter of Philadelphia, just minutes from Manayunk. Come visit us! FurniturePick's philosophy is to provide quality furniture and accessories through an amazing service, a service that stands out from the crowd and one that is true and trusted. Furniture is the vital ingredient that makes your house your home, a real expression of your style and individuality. 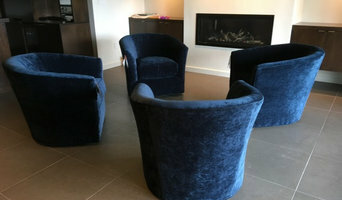 At FurniturePick.com you will find inspiration whether your taste is for traditional, classic, the latest looks, contemporary chic, grand designs or cottage style. We provide furniture for all rooms of the home including bedroom furniture, living room furniture and dining room furniture within a huge range of the brightest and best names in furniture and furnishings industry. 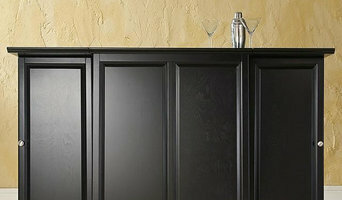 Make any room in your home stylish and special with FurniturePick.com! Frederick Duckloe & Bros. -- America’s Oldest Hardwood Furniture Manufacturer Since 1859, Frederick Duckloe & Bros. has been manufacturing traditional American furniture in eastern Pennsylvania. In continuous operation for four generations, the company is now run by siblings, Frederick B. Duckloe and Barbara Duckloe Townsend. They, along with 25 skilled craftsmen, make high quality chairs, tables and occasional pieces out of the finest native hardwoods. Their approach to making furniture has been virtually unchanged since the company’s inception. Well known and respected, mostly for their Windsor chairs, Duckloe furniture has graced many historic and significant spaces. Some of these places include, Independence Hall in Philadelphia, The National Museum of American History/Smithsonian in Washington D.C. and The Society for the Preservation of New England Antiquities in Boston, among many other well-known and exclusive establishments throughout the Northeast. Frederick Duckloe & Bros. also offers 10,000 square feet of retail space where they showcase for sale many of the highest quality brands of furniture and accessories on the market today. The factory is open for tours year round during regular business hours. 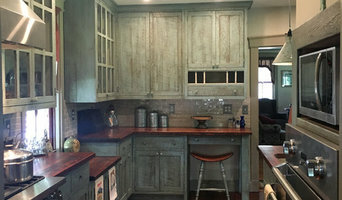 Email: czwoodworking@gmail.com Chris Zumpano is a local Philadelphia craftsman who specializes in one-of-a-kind woodworking for the home or business. Locally sourced material is the starting point for each project that Chris takes on, and each handcrafted piece is designed to suit the exact needs of our clients. Form and functionality are the key components that distinguish Chris's pieces and allow him to create such beautiful work. Planters, Pots, Containers, Urns, and Pottery in Cast Stone, GFRC, Fiberglass, Ceramic, Terra Cotta, and Cast Iron. Fountains in Cast Stone Benches, Tables, Wall Plaques, Garden Statuary and Accessories in Cast Stone and GFRC. K and H Custom Window Treatments has been beautifying the windows of businesses and homes in Eastern Pennsylvania since 1986. That’s a lot of shades, blinds, drapes, and stage curtains — enough to guarantee that you’ve seen their work in one venue or another. Quality begins with the talented seamstresses, who bring their eye for detail to every project. Experienced in working with all types of fabric and trimmings, they impeccably craft each item as an original work of art. K&H can also help accessorize your home. Choose from a variety of fabric choices, lamps, mirrors, pictures, vases, tables, custom-made pillows and floral arrangements. We have qualified accessory decorators to help you with your needs. Visit our showroom at 1110 Trexlertown Road today! We welcome consultation appointments before, during or after our showroom hours. Just call and schedule! At Gehman & Co., we offer top quality, American made furniture combined with award-winning client satisfaction. Hours by appointment. Start your research right here on Houzz. Read through professionals’ profile pages to find out important details, like how long a manufacturer has been in business. Look at reviews by design professionals and find out which furniture makers offer the best customer service. Are you looking for condo-size furnishings or working with an oddly shaped room? Necessity is the mother of invention, so opt for a custom piece made by an experienced Pennsylvania furniture maker. Here are some related professionals and vendors to complement the work of furniture & accessories: Interior Designers & Decorators, Artists & Artisans, Kids & Nursery, Closet Designers and Professional Organizers, Bedding & Bath. Take your time on any buying decisions. If contemporary is your style, don’t buy something traditional because it’s on sale. Many Pennsylvania home furnishers offer interior design consultations or room planning guides to get you started. Whether you decide to work with a home decor specialist or to become your own expert, it’s important not to rush the furniture-buying process. Visit plenty of Reading, PA showrooms and stores so you can feel comfortable with your purchase. Find furniture and accessories manufacturers, showrooms and retailers on Houzz. Narrow your search in the Professionals section of the website to Reading, PA furniture and accessories, then choose the nearest metro area for showrooms and retailers. Or you may want to look through Pennsylvania photos to find designs you like and contact the furniture manufacturers and showroom galleries directly.